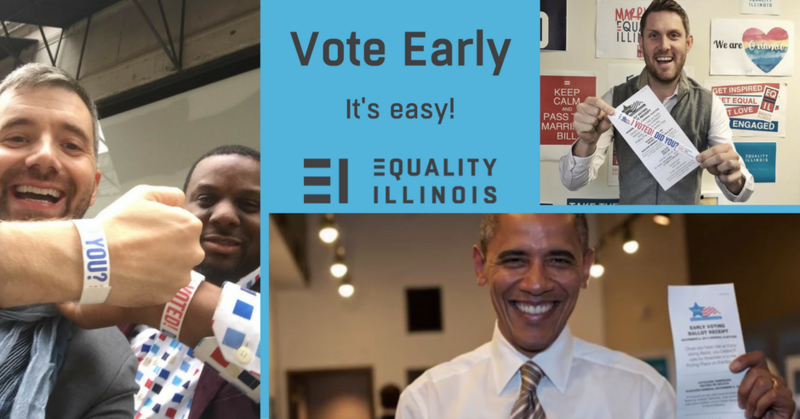 Early voting continues this weekend in many locations throughout Illinois. If not this weekend, vote early during the week. And you can register and vote, too. It’s easy. Our CEO Brian C. Johnson, Director of Education and Outreach Anthony Galloway, and Director of Development Eric Wilkerson have already voted early. And President Obama, too! Your early vote allows your favorite candidates to concentrate resources on those who haven’t been to the polls yet. Find locations and hours in every Illinois county and voting jurisdiction.